SINGAPORE (6 Nov 2018) – It was not an easy task in naming in his 23-man squad for the 12th edition of the AFF Suzuki Cup as four-time champions Singapore get into the fray with a home match against Indonesia at the National Stadium on Friday. 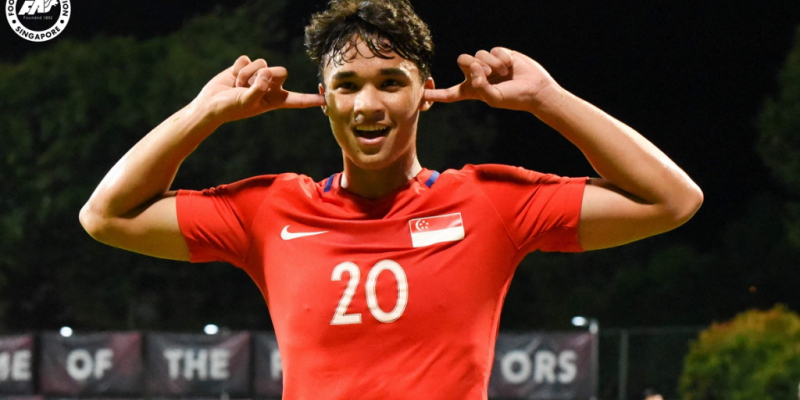 Singapore’s best-known footballer also named seven newcomers to the squad, including his two sons – defender Irfan and striker Ikhsan. The other five newcomers are Adam Swandi (midfielder), Iqbal Hussain (striker), Jacob Mahler (midfielder), Nazrul Nazri (defender) and Zulqarnaen Suzliman (defender). “We have faith in the team and together we will do our best, and God will take care of the rest,” said Fandi. “With the players fighting hard for a spot in the team, it was not an easy task to pick the final squad. Influential midfielder Hariss will skipper the Lions. Hariss plays for Johor Darul Ta’zim (JDT) in the Malaysian Super League (MSL). After the match against Indonesia, the Lions fly off the next day to play the Philippines at the Panaad Park & Stadium in Bacolod City on 13 November. Among the experienced hands in the Singapore squad are goalkeepers Hassan Sunny and Izwan Mahbud. There are also strikers Khairul Amri, Faris Ramli and Shahril Ishak and defenders Baihakki Khaizan, Safuwan Baharudin. Singapore’s other group matches are against Timor Leste (home) on 21 Nov and Thailand at the Rajamangala Stadium in Bangkok on 25 Nov.